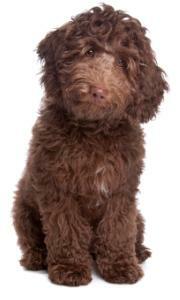 A poodle labrador, also called a labradoodle, is a cross between a labrador retriever and a poodle. They are one of the most popular mixed breed dogs. The labrador is a devoted, active, kind and gentle dog who needs lots of exercise. A labradoodle dog will vary in size and weight depending on the poodle parent which will be either a standard or miniature. Their heights will vary from 12 to 26 inches. A standard will be 22 to 26 inches and weigh between 50 and 90 pounds. A medium doodle will be 17 to 22 inches tall and weigh between 40 and 55 pounds while a miniature will be 12 to 17 inches in height and weigh 20 to 45 pounds. A labrador poodle dog may have the straight coat of the retriever which may be short, medium or long hair; if so, it will shed and will not be good for those who suffer with allergies. A single coat labradoodle is better for people with allergies. The dog may also inherit a curly coat more like the poodle or the coat may be wavy. The dogs come in a variety of colors including black, cream, brown, apricot, gold, silver and red. 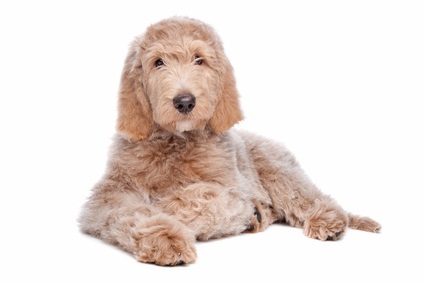 Labradoodles are not hard to train, are active dogs and live up to 15 years. They usually get along well with other family pets and should be walked at least once every day. They are susceptible to ear infections, eye problems such as prcd-PRA and skin problems. Your poodle and labrador mix will bring love, companionship, faithfulness and devotedness for years to come as your dog grows from puppy to adulthood.